Water & hair repellent workwear! From sizes XS to 4XL. Many styles to choose from. Call today at 936-894-3292 and let our experience help your business grow! We support fast, friendly service! 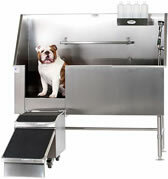 Groomers Best 48" Walk-thru Tub w/Ramp/Accessories. Pack Deal! 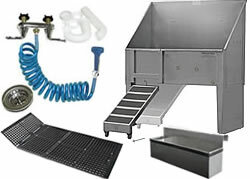 Groomers Best 58" Elite ADA Dog Bather System Pack Deal!